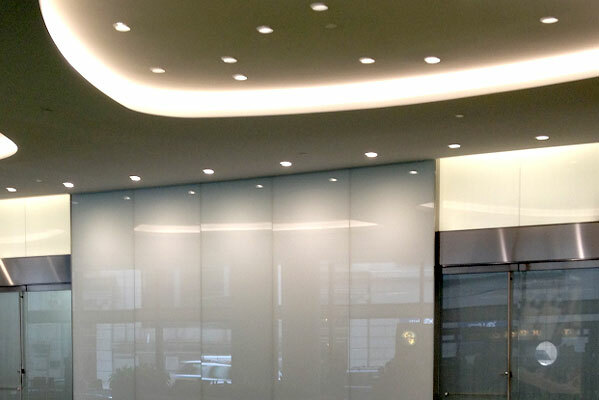 Interior Finishes - A. L. Harding & Co.
American Decorative Ceilings designs and manufactures quality architectural specialty ceilings and walls. 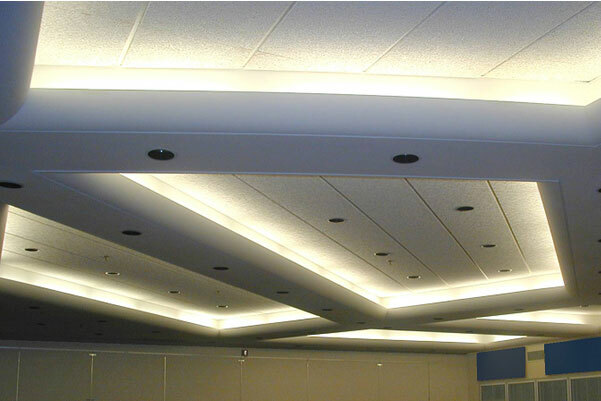 Our wide range of standard and custom ceiling systems makes us your best choice as a single source provider. 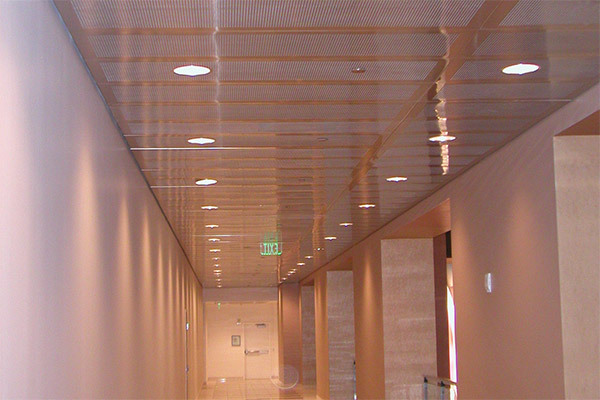 Specialties: Metal Decorative Walls and Ceilings. 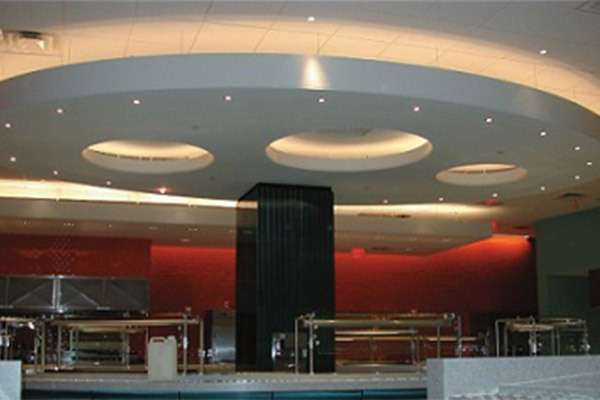 Curved Ceilings, Wood Ceilings and Wall Panels, Suspended Decorative Grid/Cellular Ceilings, Linear Ceilings, Luminous/Skylight Ceilings, Metal Tiles, Embossed Metal, Interior Wall Panels, and Corrugated Metal Ceilings. Produced in Spain and stocked in the USA, Parklex manufactures natural wood dry interior wall and ceiling cladding for high abuse areas, 100% moisture resistant engineered hardwood flooring, as well as exterior products. Their outstanding features are material quality, straightforward installation and their resistance to moisture and intensive use. 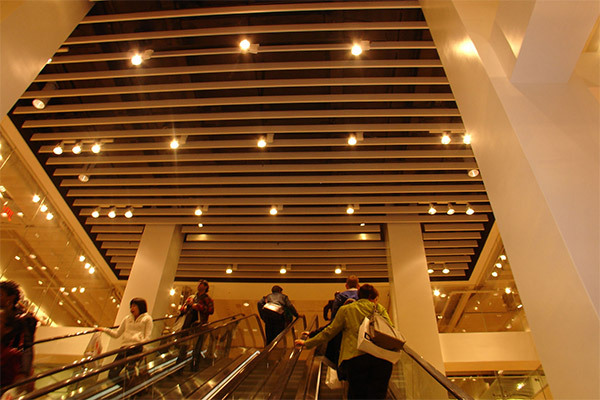 Specialties: High traffic water resistant floors, walls, and ceilings. 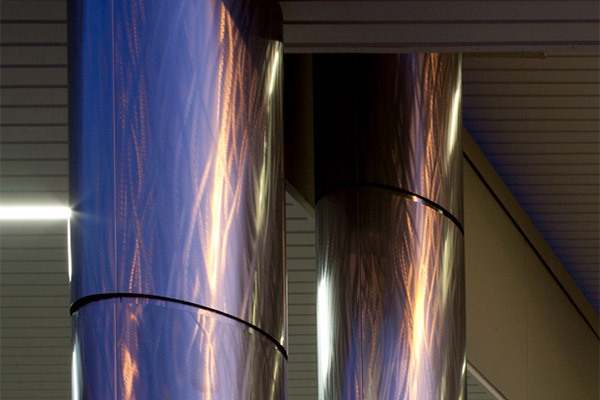 Since the 1940's Pittcon Industries has been a leading manufacturer of custom architectural metal Products. 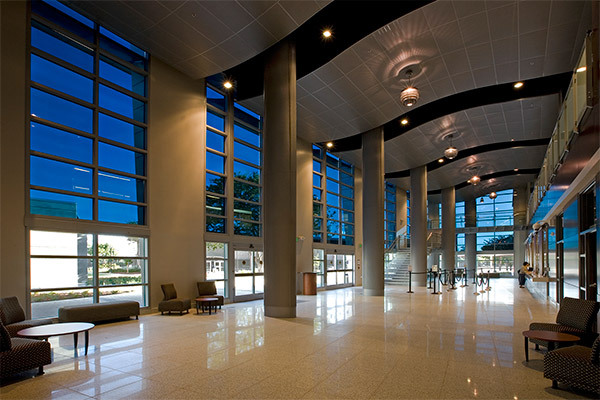 Pittcon Industries manufactures a wide variety of interior and exterior products to include column covers, wall panels, vaulted ceilings, light coves, crown, and soffit moldings. 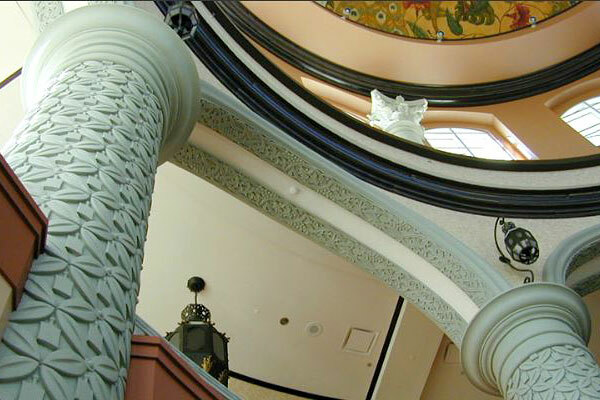 Specialties: Architectural metal column covers, ceiling accessories, perimeter trims / moldings, Light coves, crown moldings, and SoftForms drywall trims / reveals, and plaster moldings. 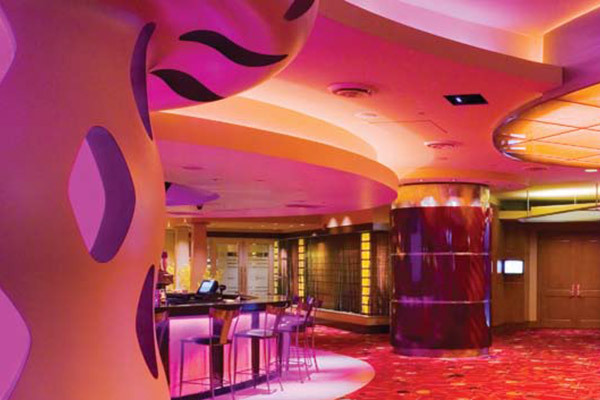 Founded in 1987, Plasterform is one of the largest custom casting manufacturers in the world. 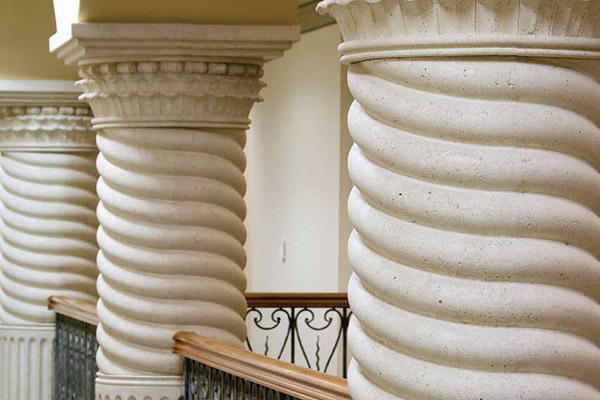 We manufacture the most extensive line of architectural casting products in the industry. 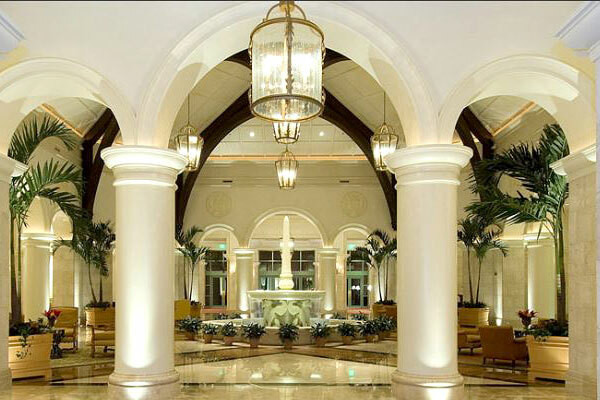 Specialties: Standard & custom interior and exterior casted column covers, moldings, ceiling & wall applications, and other products made from glass-fiber reinforced gypsum (GFRG), concrete (GFRC), poly-resin (GFRP) and IMS (Interior Molded Stone). 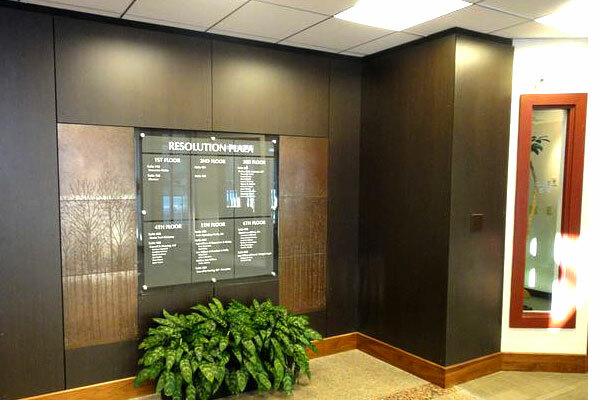 Produced in Wisconsin by Fiberesin Industries, Stonewood Phenolic Resin Panels are available in solid color, abstract and faux wood grain patterns giving the designer unlimited ability in design. Thickness from 1/8" to 1", Class A or B fire rating using NFPA 285 wall assemblies, maximum size of 4'x8'. 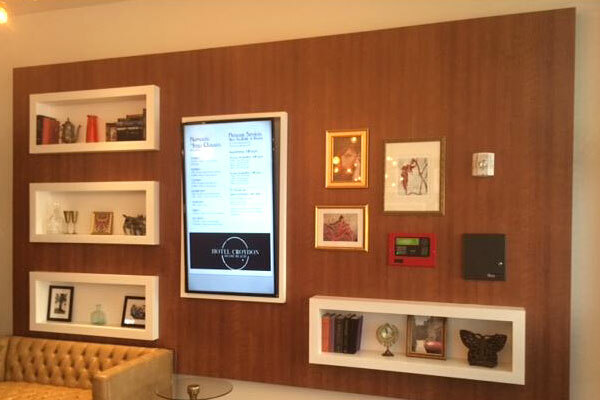 Panels can be fabricated to virtually any size or shape at the factory or also easily on-site. 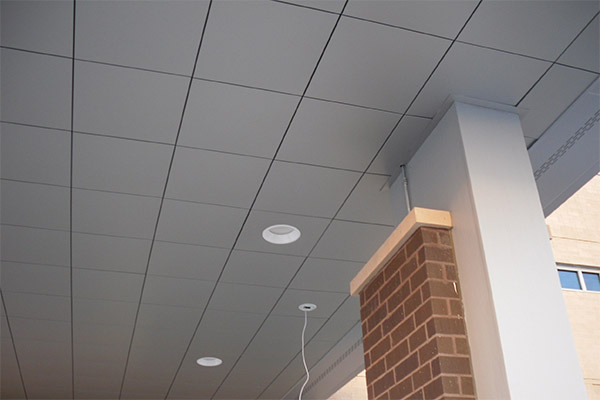 Suited for exterior and interior application. 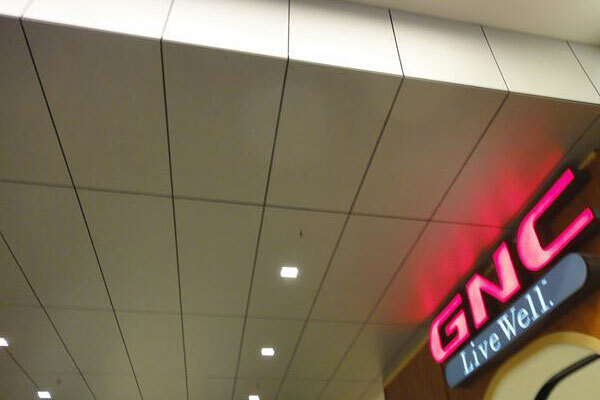 Perforated and slotted panels as well as custom graphics. 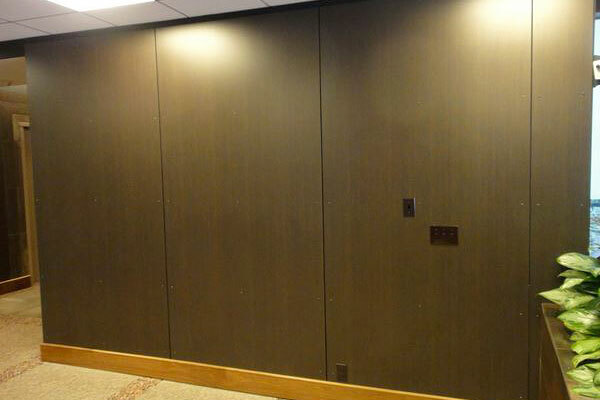 Specialties: Solid phenolic panels for use as interior wall coverings or open joint exterior cladding.